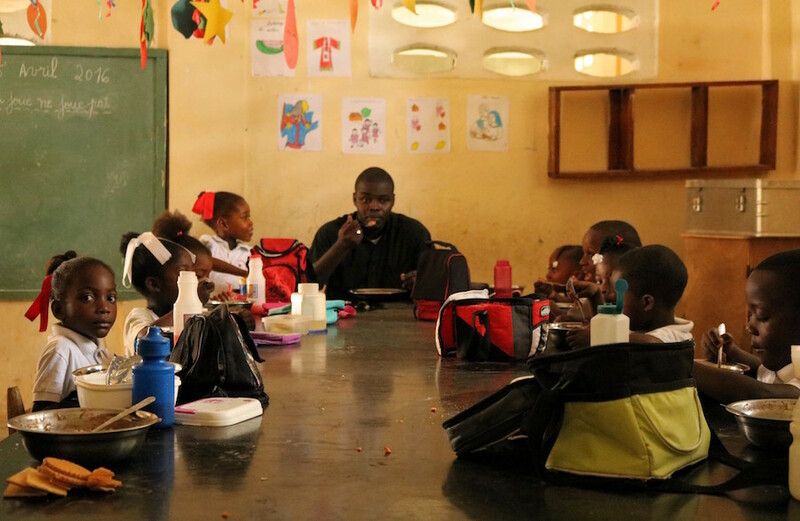 The annual cost of education for each child at Matthieu is roughly $100, which importantly includes a mid-day meal, often the only meal these children will receive. On a visit with American students in 2009, we were all surprised to discover that Matthieu’s students were learning math on a level commensurate with students in America. It’s a remarkable feat when you consider the nature of their classrooms: wooden benches, a rudimentary board, and chalk. Technology is non-existent, and yet they still learn. They desire knowledge as much as they do food, knowing that the former will provide them the means ultimately to nourish themselves.